Rich coloring and delicate structure define this ring from the Apples of Gold Art Deco collection. The two-tone ring is a beautiful example of how combining different golds with a bold gem make for one fabulous ring. A white gold band gives a clean, radiant base for the ring, and features carved swirls, true to art deco style. 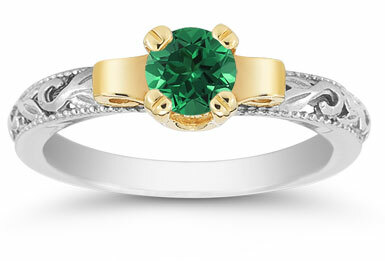 A yellow gold mounting sets the stage for an emerald stone. This 5mm bright green gemstone captures your eye like no other, especially in this excellent art deco setting. 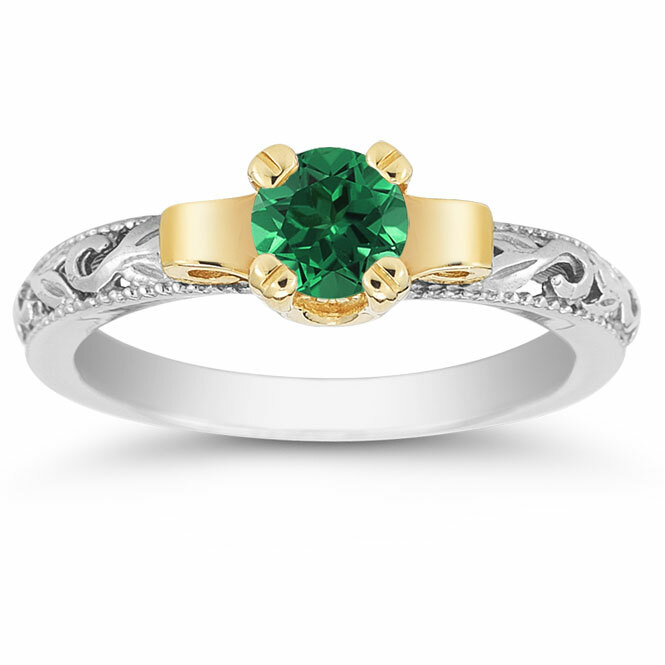 We guarantee our Art Deco Emerald Engagement Ring, 1/2 Carat to be high quality, authentic jewelry, as described above.